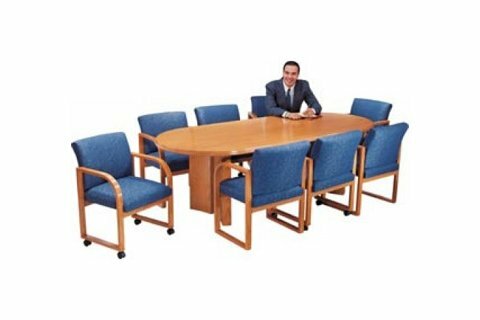 These Solid Wood Contemporary Conference Tables and Chairs Will Fit Your Conference Room - and Budget - Just Right! Split, curved panel base and beveled edge add classic elegance. Curved bases can be installed concave or convex. Solid Oak: Tops are 7/8" thick solid oak with 7/8" skirt. Super Sturdy: Base made from 3" thick, solid-oak veneer-covered panels. Eye Catching: Hand-polished to perfection with a gleaming lacquer finish. Easy Assembly: Easy one-tool assembly, Allen wrench included. 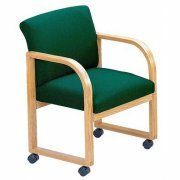 Timeless Design: The classic, full back design allows you to keep the same furniture without your office looking outdated. 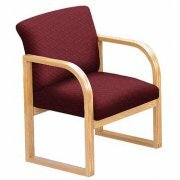 Extra Strong Construction: Contoured oak frames 1 7/8"W x 1"H with strong finger joint construction. Superb Comfort: Matrex seat support system for long life comfort. Extra Stability: Stable sled base.